Emory Heart and Vascular Center cardiologist Byron R. Williams, Jr., MD, received the E. Napier "Buck" Burson, Jr., MD Physician Award of Distinction, the highest honor for physician service at Emory Saint Joseph’s Hospital. 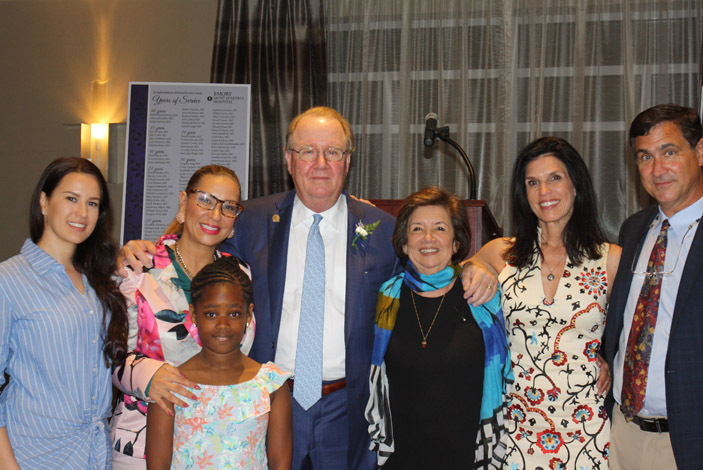 The award is named for the late Burson, former chief of staff at Saint Joseph’s, and a leader in the field of gastroenterology who pioneered the diagnostic tool of GI endoscopy. 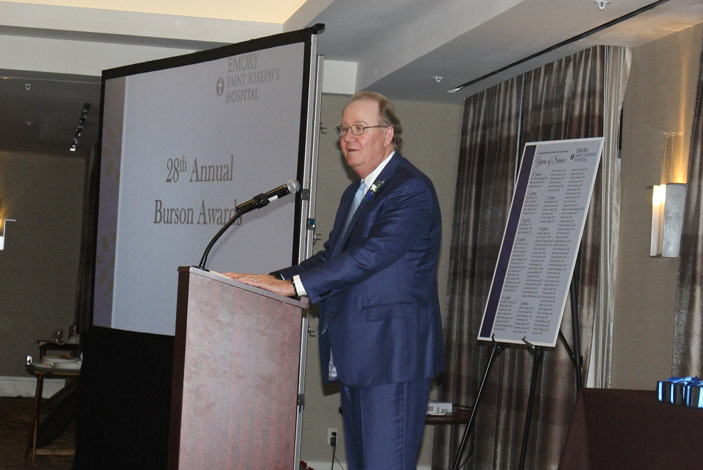 Burson Award recipients are selected for their adherence to the Mercy philosophy and contribution to the Mercy mission in Atlanta; contribution to the quality of medicine practiced at Emory Saint Joseph’s; and leadership as a member of the medical staff. “Dr. Williams has been a tireless advocate for his patients for more than 40 years, and we are so appreciative of his service to our community and contributions to the mission of Emory Saint Joseph’s,” says Heather Dexter, CEO of Emory Saint Joseph’s. Williams serves two roles within Emory Healthcare: as Chief of Medicine at Emory University Hospital Midtown, and Chief of Cardiology at Emory Saint Joseph’s. Williams received his medical degree from the University of Florida and completed his residency at Charlotte Memorial Hospital in Charlotte, N.C. After finishing his fellowship at Emory University Hospital, Williams joined the Emory faculty. Williams was selected to study nuclear imaging at Yale on behalf of Emory, and he returned to develop this new diagnostic tool at Emory Midtown’s Heart Center (formerly Crawford Long). Williams’ then joined the growing medical community at Saint Joseph’s Hospital in 1983. During this time, he developed the noninvasive cardiology program at Saint Joseph’s, including echo and transesophageal echo and nuclear cardiology. Through Williams’ vision, those service lines gave rise to a very large inpatient and outpatient clinical facility. Throughout his career, Williams has received numerous teaching awards for his outstanding leadership and mentorship of students, residents and fellows. In 2012, he was a recipient of the Dr. Wadley R. Glenn Award, recognizing his transformational contributions at Emory University Hospital Midtown. In addition to serving as the Chief of Medicine at Emory Midtown, Williams is the Martha West Looney Professor of Medicine at Emory University. Williams’ career expanded outside the Atlanta area when he launched a series of health care clinics in the north Georgia communities of Dahlonega, Hiawassee and Villa Rica in 1994. “Solving problems for patients is the most important aspect of my job,” says Williams, and he continues to provide weekly cardiovascular care for patients in this region. Williams’ leadership and community involvement include serving as the chief of cardiology at Emory Midtown, volunteering for Mercy Care and the American Heart Association; serving as a member of the Saint Joseph’s Board of Directors; and providing longtime support to the Juvenile Diabetes Research Foundation. 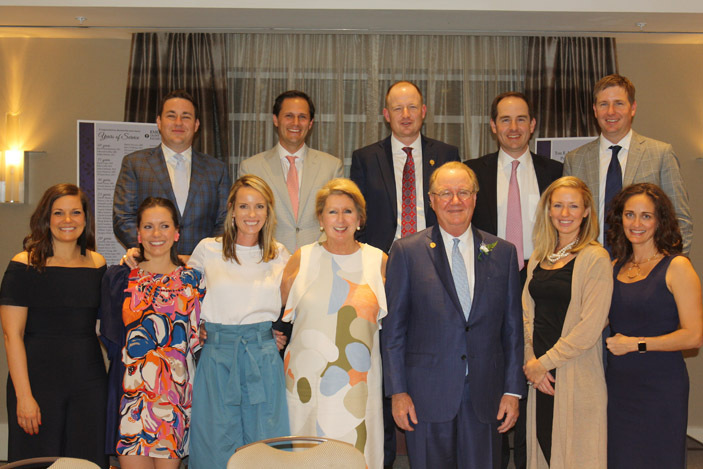 In addition to the Burson Award ceremony honoring Williams, more than 110 physicians were recognized for their years of service as members of the medical staff at Emory Saint Joseph’s. 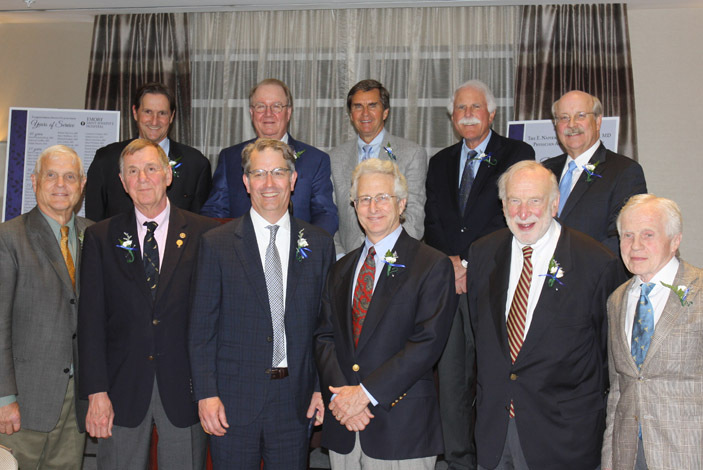 The awards celebrated the dedication of physicians for their years of service ranging from five to 40 years at the facility.